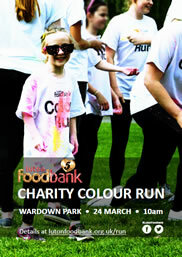 Participants make their way around a 5km course, while being showered with brightly coloured powder by foodbank volunteers. Spectators/supporters welcome; £10 registration is for runners. 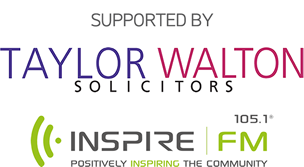 We do ask that sponsored runners try to raise a minimum of £100. Ask friends, family, and colleagues to sponsor you. If you work for a medium- or large-sized company, you might be surprised at how willing they can often be to give very generously. Either way, it’s important to start finding sponsors right away, because you won’t want to miss your target. We’ve provided you with two ways to raise money (see below) but you are not limited to these. Whichever method you choose, please encourage your sponsors to tick the Gift Aid box, as this adds 25% to their donation at no extra cost to them. If you’re using the form, please make sure you include it with your cheque so we are able to claim the Gift Aid. A colour-filled morning for all the family! There’s also a trophy for the individual winner, but fast or slow you’ll receive a commemorative medal. We’ll even throw in a pair of sunglasses, and an official Colour Run t-shirt. We recommend you get advice on how to train for your run. If you are not used to running it’s really important that you start gently, and work your way up. 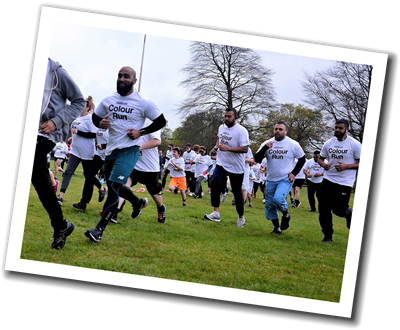 Try the free NHS Couch to 5K programme, which has accompanying apps for Android and iPhone. The event is open to all, but if you’re not used to this kind of activity, you should consult your doctor first. 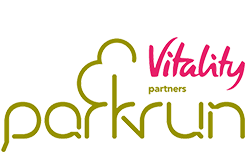 You can get great practice by joining Luton Wardown Parkrun, which is is a free-to-join regular Saturday morning event run by volunteers. You need to sign up on their website before going along, so you can be issued with a barcode which they use to time your run. 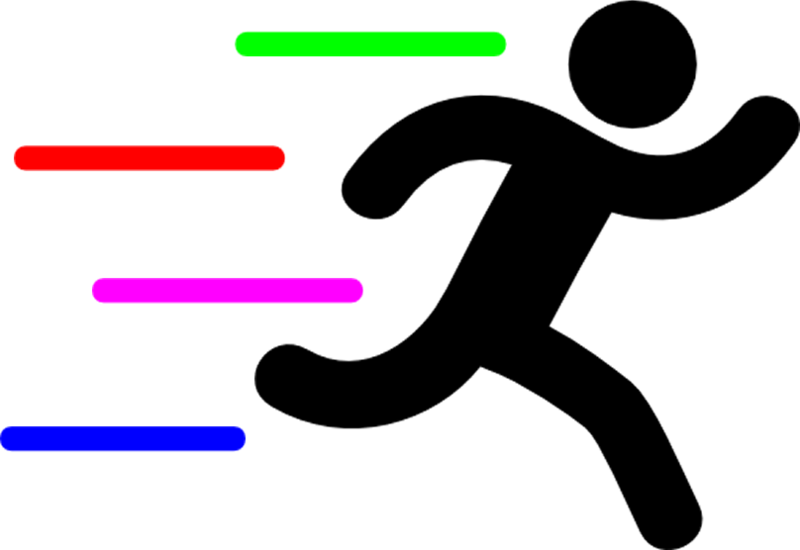 Our Colour Run course is closely based on the Parkrun circuit, so you’ll be able to get a really good idea of how your training is going. 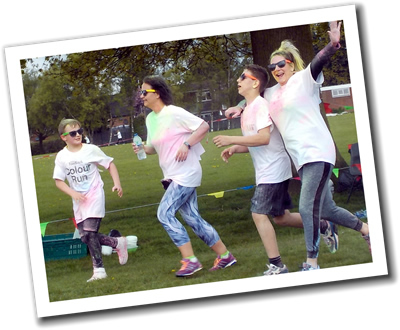 The Colour Run will take place in Wardown Park on Saturday 24th March 2018. Free car parks can be reached via both the Old Bedford Road and New Bedford road entrances. Please arrive by 10.00am to sign, collect your goodie-bag, and warm up. The run will start promptly at 10.30am. Winner’s medal will be presented when all participants have crossed the finish line. 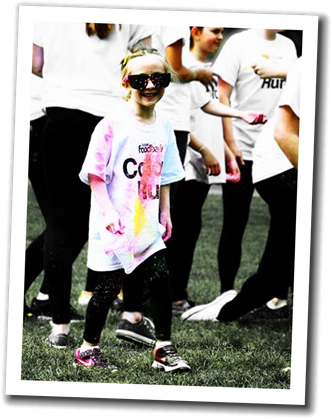 Please help us raise awareness by printing our Colour Run poster (below) and displaying it at your school or place of work. And please do come along on the day to cheer the runners on!